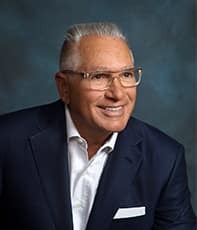 With a career in the automobile business that spans four decades, Anthony J. D’Amato, Jr. joined the sales force at Toyota of Orange in 1976, just three years after embarking on his chosen career at a local Costa Mesa dealership. During his 13 years at Toyota of Orange, A.J. was promoted from sales to new car manager and, ultimately, to general manager in 1987. That same year, Lexus awarded David Wilson (then owner of Toyota of Orange) the nation’s first Lexus franchise and David named A.J. president and partner of the new Tustin Lexus dealership. 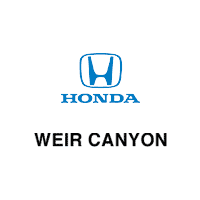 AJ’s long-time partnership with David Wilson continued with the acquisition of Weir Canyon Honda and Weir Canyon Acura in 2001. Under A.J.’s experienced leadership the two dealerships have been completely remodeled, won numerous customer satisfaction awards and has exceeded $803 million in sales. In 2006 AJ and partner David Wilson opened the country’s most luxurious Lexus dealership, Newport Lexus. Born and raised in Long Beach, California, A.J. began his automotive career right out of high school. He is a past president for both the Orange County Auto Dealers Association and the Tustin Auto Center Association. In addition, A.J. served 6 years on the Lexus National Dealer Council as the Lexus Western Area’s Dealer Council Representative. A.J. and his wife, Joni, reside in Corona del Mar. He has three adult children: Anthony John D’Amato III, Joseph Andrew, and Alexis Allyn. He also has three grandsons: Nicholas, Cash, and Mason.